Steven (Chicagoland, United States) on 29 November 2017 in Animal & Insect and Portfolio. 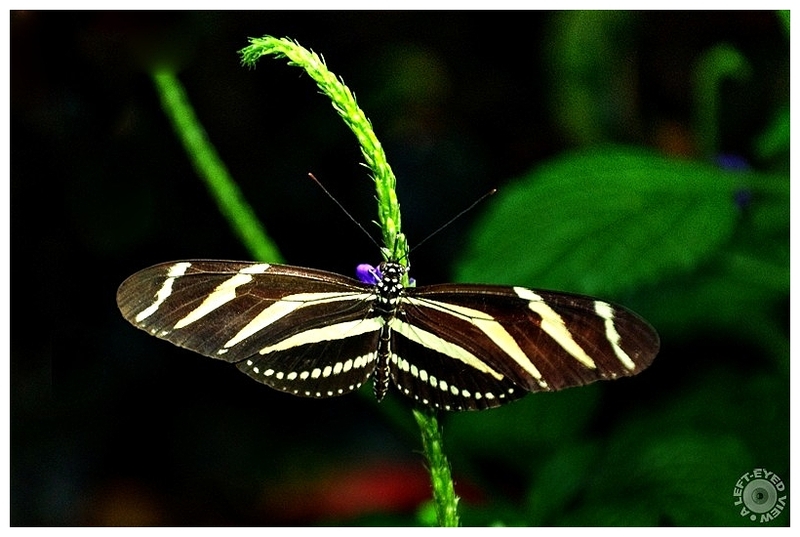 A zebra longwing butterfly spotted at the Niagara Parks Butterfly Conservatory in Niagara Falls, Ontario, Canada. Butterflies are the natural gift of Mother Nature for us. Ce papillon est vraiment superbe !! It's so interesting that you're sharing this butterfly and post about the conservatory, Steven, because just last month in America, we visited Callaway Gardens in Pine Mountain, GA, where they have a similar butterfly pavilion. It's hard not to spend hours there, hoping to capture perfect specimens! Les ailes bien déployées, il est très beau ! I love this specimen, and you've nailed a great frame here. Nicely focused with crisp detail. Incredibly crisp and detailed. gorgeous! Outstanding picture. Very great. I like a lot ! It must be a great conservatory. This is an excellent capture of this impressive butterfly. Waouh ! Qu'il est original ce papillon !!! A beautiful capture of this elegant butterfly. A gorgeous image. I love the colors and pattern of this butterfly. The background is beautiful. A lovely image. This is so beautiful!! I love what you did here!! So beautiful. It gets 5* from me. Magnifique papillon qui porte bien son nom ! That's a lot of butterflies! Beautiful butterfly. And actually, by the name, have some similarities with the zebras. Gorgeous color and lighting in your photo! I love this species!